A public symposium US Farm Bill 2018: Policy, Politics & Potential, was held at American University's School of International Service on March 28, 2017, from 8am-4pm. This event, co-sponsored by Berkeley Food Institute, marked the first time that academics, civil society leaders, policy-makers, producers and the general public were able to present and discuss original research both on and for the US Farm Bill, across and beyond disciplines. In 1933, the Farm Bill was created as part of the New Deal, an ambitious attempt to uplift millions of Americans from the difficulties of the Dust Bowl era and Great Depression. Congress and President Roosevelt introduced a tax on food processors to help stabilize the rural economy and alleviate the hardships felt by farmers receiving low prices on crops being produced in excess. By 1938, the Farm Bill became a formalized bill, undergoing additional debates, revisions by Congress and continual renewal every five to eight years. Subsequent bills attached to the Farm Bills of the 1930s and 1940s aimed to invest in the long-term stability of the US food supply and land stewardship. Unfortunately, policies underwent changes that favored large and powerful corporations at the expense of public benefits. The 1970s was marked by the reign of Earl Butz, the Secretary of Agriculture who ushered in an era of “get big or get out.” This period was characterized by an industrialization of agriculture, the expansion of monocultures, transformation of animal farming and the near extinction of family farms. The World Trade Organization’s 1995 Agreement on Agriculture reduced barriers to trade between countries, while US Farm Bill programs promoted the overproduction of wheat, soybeans, rice, corn, dairy and meat products (promoted by major agricultural subsidies). The world market was glutted by US taxpayer subsidized commodities, which undermined global prices and undercut competing farmers in other countries. Today’s Farm Bill, the Agriculture Act of 2014, has been built upon the successive historical bills and modified to provide updated federal services and programs that impact all American citizens and many countries around the world. Like its predecessors, the 2014 Farm Bill spans a wide range of areas including nutrition, crop insurance, commodities and conservation. 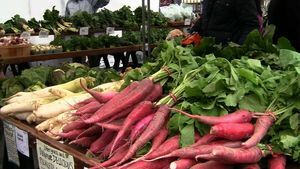 This bill aims at expanding markets for agricultural products both in the US and abroad, strengthening conservation programs and creating opportunities for local and regional food systems. Each new version of the Farm Bill presents challenges and opportunities to create a healthier, more equitable food system. The passing of this unified package of food and farm programs promotes the continual refinement of critical programs that uplift the most chronically underserved segments of agriculture and our rural and urban communities. Other notable achievements of the 2014 Farm Bill include the provision of funds for programs that regulate crop insurance, food labeling standards and resilient local and regional food systems. The greatest concerns about the 2014 Farm Bill stem from reductions in conservation funding and an overall imbalance in how funds and protections are allocated. The major beneficiaries are large producers, processors and distributors of agricultural foodstuffs. In contrast, diverse producers, small family farms, the hungry and community food systems remain underrepresented. Due to the tense political climate there are a number of areas that were not properly addressed and need future improvement. The need for emergency and other nutrition programs are often insufficiently funded, while price, risk and disaster protection for diversified farms remain woefully inadequate. Produce at a farmer's market in Dupont Circle, Washington, DC. A key feature of the US Farm Bill, "The Crop Insurance Program has been consistently expanded, with efforts to include greater protection for specialty (e.g., fruit and vegetable) crops. However...the program predominantly favors a handful of commodity and trade crops such as cotton, corn, wheat, soybeans, rice, and peanuts. Seventy-four precent of the total crop insurance premiums in 2002 came from just corn, soy, wheat, and cotton. These, of course tend to be grown by large-scale industrial producers...[and] the system incentivizes an inefficient and inequitable delivery of services that results in inadequate access by small producers" (p. 5). 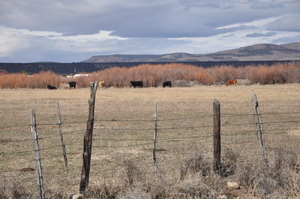 Increased regulation throughout the evolution of federal conservation policy has resulted in a perceived decrease in communal land rights for ranchers in the American Southwest. Roots of the conflict between ranchers, conservationists, and federal government can be traced back to the Mexican-American War. Most recently, the Agriculture Act of 2014 has decreased funding that supports socially disadvantaged farmers. The Farm Bill stands to play a crucial role in the creation of equity between farmer welfare and conservation efforts. Policy to address this conflict and formulate strategies for improved grazing practices is necessary. Our research aims to, first, understand the conflict between ranchers of Northern New Mexico, conservation advocates, and government agencies, particularly the United States Forest Service. Specifically, this research aims to explore the conflict’s causes and implications from a neutral perspective. Second, this research will suggest opportunities to benefit key stakeholders including local communities, rangeland conservationists and the federal government.